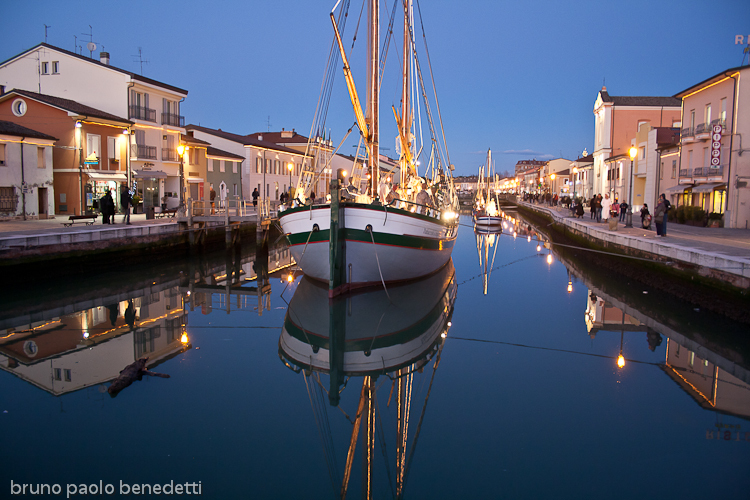 water reflections in the evening at sunset in the Italian small town of Cesenatico, on northern Adriatic sea. In the tipical channel port on the traditional boats are set nativity scenes, begin of january. Picture to purchase.